7 Sweet Treats That Won’t Leave You Feeling Deprived. The summer is time for ice cream, popsicle, pudding, and pies but eating these things while following a paleo diet is difficult and possibly deadly to a diabetic! It is possible though to satisfy these summer cravings while following your dietary restrictions. I have first-hand experience. I have eaten according to the paleo principle for almost two years. My boyfriend is gluten-free and I have several family members who are diabetics. Because I am usually the host of many summer cookouts, I have spent a significant amount of time finding recipes that I am proud to serve and that meet all the dietary requirements of my guests as well as myself. 3. Warm Apple Strudel. If you are dying for that piece of apple pie, this might do the trick. Peel, core and slice a small apple into chunks. Sprinkle 2 tablespoons of unsweetened granola on top. There are many unsweetened, paleo-friendly granolas on the market! Sprinkle Stevia on top (to taste) and ¼ tsp of cinnamon. Remember that Stevia is more than twice as sweet as sugar so go light on it! Cover with foil and put in the oven at 325 and bake for about 30 minutes. You can also microwave it for 1 to 1.5 minutes but I am not a fan of the microwave. It actually changes the molecular structure of food! 5. Peanut Butter Pudding. Who doesn’t love the combo of peanut butter and chocolate! This recipe was actually for a pie and the “pudding” was the filling. Mix 1.5 cups of almond or coconut milk with 1 small box of sugar-free dairy-free instant vanilla pudding mix and mix with a wire whisk. Add 1/3 cup of peanut butter, ½ tsp of gluten-free vanilla extract and 1 cup of frozen, fat-free, dairy-free whipped topping. Pour into bowl and refrigerate for 4 hours. Makes 10 servings. Sugar: 5 grams and delicious! 6. No Bake Key Lime Pie. I love key lime pie. Yes, I know that “real” key lime pie is not green but I had to make some changes to make this perfect summer treat fit my requirements. Ingredients: 1 small box of sugar-free lime Jell-O, ½ cup of boiling water, 1 8-oz package of low-fat or fat-free, dairy-free cream cheese (Trader Joe’s makes a good one! 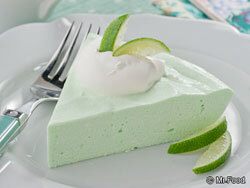 ), 1 Tb of fresh lime juice, 1 tsp grated lime peel, 2 cups frozen light dairy-free whipped topping, thawed. Directions: Dissolve Jell-O in boiling water. Beat cream cheese in large bowl and slowly add Jell-O until well combined. Stir in lime juice and lime peel. Fold in whipped topping until well blended. Pour all into a pie pan lightly sprayed with coconut oil cooking spray. Chill for about 3 hours. Yum! 7. Yogurt Popsicles: Last but not least, you must have a popsicle in the summer! Sure, you can buy sugar-free popsicle in any grocery store but I guarantee that they won’t taste as good as these! Why? 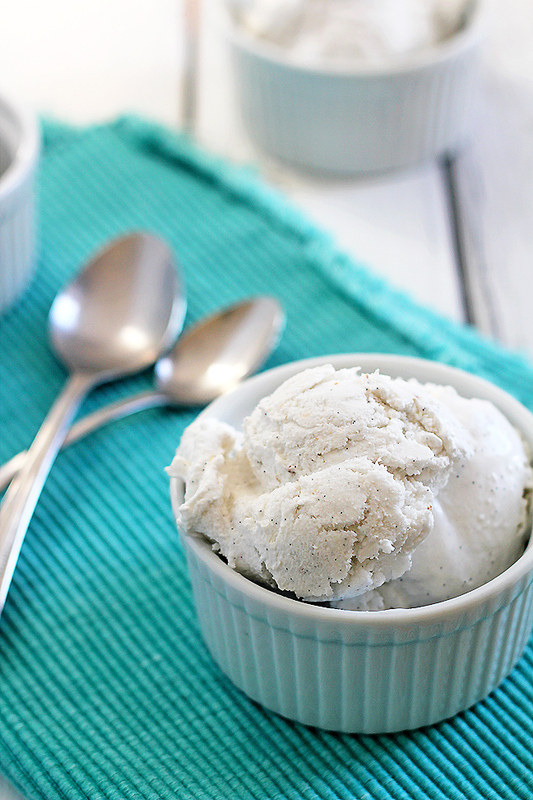 They are made with paleo-friendly and diabetic friendly coconut milk yogurt! Combine 3 cups of plain, non-fat coconut milk yogurt (or strawberry flavored) with 2/3 of a cup of no-sugar-added strawberry syrup (slightly less if you use strawberry yogurt). Mash ½ cup of sliced strawberries with a potato masher. Put cupcake papers in a muffin tin and divide the yogurt mixture evenly between them. Divide the mashed strawberries equally and put on top of the yogurt mixture. Freeze for about 30 minutes until slushy. Put popsicle sticks into the center of each cup and put back in the freezer until firm. Peel off paper before eating. Makes 6 popsicles. So that’s it! Hopefully, one of these options will bring back memories from the summers of your childhood. If only we had summers without work again too! Do you have a dessert recipe that you would like to share that both diabetic and paleo friendly? Click here to make an appointment with one of our doctors. [i] Note: if you are a diabetic or have any other doctor-ordered dietary restrictions, please check with your doctor about what you should and should not be eating. This article is not intended as medical advice. Previous PostDoes Happiness Improve Your Health? 13 Tips To Make Sure It Does!Next PostAll That Screen Time is Affecting Your (And Your Children’s) Health! 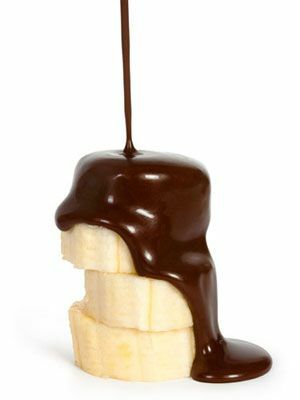 I love chocolate dipped frozen bananas! The texture is unreal. Thanks for sharing!